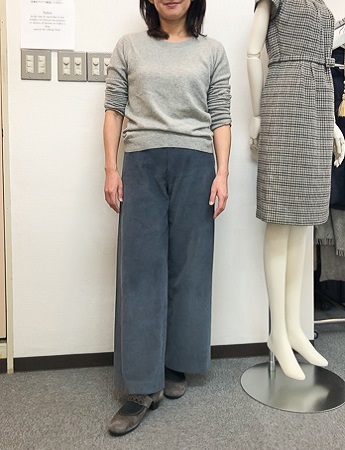 生徒作品NO.1203☆オリジナルコース　香田あおいさんのブックからカジュアルパンツ　久保先生のワークショップの様子も　☆　Casual pants with a flat elastc band. I have hay fever from 2weeks before. quite tough season for me… sorry for updaiting so slow.. Anyway, today the design chosen from a dressmaking book that we use often. This pants is seamless in the side.Can you see? ?Sewed a line under the leg and a leg crotch then sewed waist belt. As very simple it is good for beginners. * How to sew a zipper. * The way to sew elastic on the back of the waist belt. * Way to stitch a hook perfectly. and more.. Our schools orignal course is able to learn how to make and sew clothes with fun. 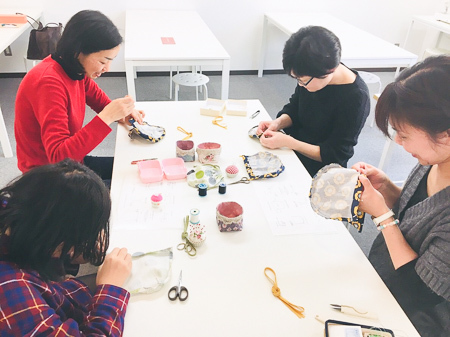 And this Sunday afternoon we held work shop by Ms.Kubo. They made a drawstring bag and seem fun!! 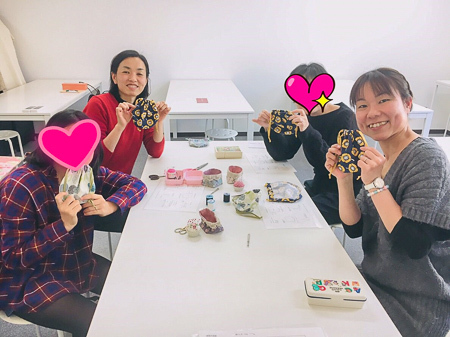 We are planning next work shop on 10th March. 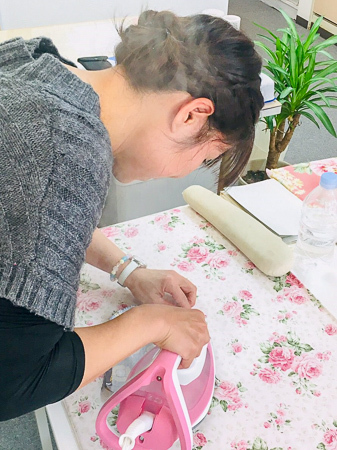 Ms.Kubo’s workshop are for beginners so, going to make easy, small and useful goods.